Data Glitch is all about the modern day compression glitch artifacts. It creates awesome realistic digital image glitches with total ease. Something you would see during a satellite transmission or a cable broadcast or from a damaged disk. Bad TV plugin is great for analog TV look, but in the modern day you hardly see anything that's analog anymore. This plugin simulates a realistic digital glitch effect. In real-life most of the glitches occur due to problems in encoding/decoding and sometimes data corruption. This plugin does exactly that. It encodes the data, glitches the data and then decodes it similar to the real life situation. Creates Vertical & Horizontal Sync offset which causes the jumpy effect seen in Old TVs. Manual Time Control if necessary. This plugin allows you to move, rotate, scale, blur, blend, fade and distort the RGB channels independently without any hassle of Pre-Comps and layer channels. You can use this plugin to create the popular Chromatic Aberration effect. Offset/Rotate/Scale and Blur individual R,G,B channels. Create Lens Distortion per channel for easy Chromatic Aberration effect. No channel layers/precomps are required. This plug-in lets you pixelate your image into circles and rings. Highly useful to create LED screen effect or a porous surface effect. Can also be used to create new abstract, artistic version of images and footage. It has optional shading that helps you to simulate spherical and torus objects. This plug-in lets you achieve a realistic effect of simulating what the image on an LCD screen or tube tv looks like or can be used for artistic effect. You can set the size of the pixel optionally. 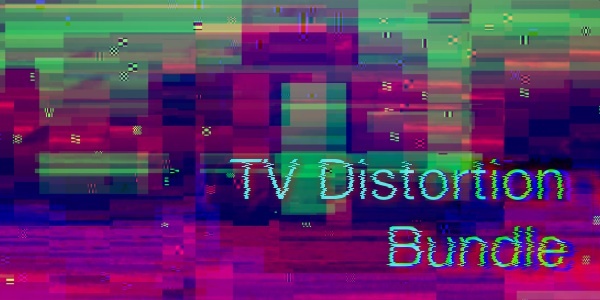 TV Distortion Bundle plug-ins are compatible with Adobe After Effects and Adobe Premiere Pro CS5, CS5.5, CS6 and CC, CC 2014, CC 2015, CC 2017, CC 2018, CC 2019 on both Windows and Macintosh platforms.